If you want your e-commerce venture to be a success, you need to adopt some basic marketing strategies. You may have the best-looking website on the internet, with the greatest design and the absolute best in content, but without the right marketing strategy, consumers simply aren’t ever going to see it. Digital marketing has become the divider between those businesses that grow and those that falter, so if you want to keep one step ahead of your competition, then you need to be up to date on the latest digital marketing trends. Here are the top three digital marketing techniques that you need to master. 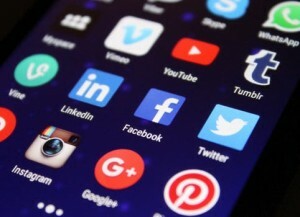 The most important factor in your digital marketing campaign is going to be social media. There’s simply no understating the importance of Facebook, Twitter and the rest when it comes to attracting new customers and increasing brand loyalty. The challenge is learning to use social media in the right way. Ideally, you want your content to be more than just self-promotion. It needs to be relevant to both your customers and to your business, and it needs to be useful and entertaining. That’s a lot of boxes to tick, but look at some of the social media campaigns by large corporations, and you’ll see how they use their platforms to attract and reach such a large audience. Mix up your content types, and make use of live video functions. In 2018, live video on Facebook and Instagram has grown immensely popular, and 80% of audiences will choose video content over a blog post. If you’re looking for ways to drive traffic to your website and provide additional content for customers to enjoy, then you should definitely have an email marketing campaign running. Even now, email marketing consistently generates more real sales than both Facebook and Twitter, so it’s always worth looking for new ways to launch a new email campaign. This should run alongside the rest of your campaigns, so that your content always complements each other and encourages those all-important site visits. For those running an e-commerce on platforms like Shopify, it’s often worth talking to specialists like Blackbelt Commerce. Look for those with experience of customer growth strategies and website optimization, and your email campaign will end up working much more fluidly. Not only do emails give you a direct line to your customer, it does so without the risk of being drowned out on social media. That direct line is one of the reasons why the ROI on email marketing is rated at an estimated 4,300%. There’s always going to be a debate about which search engine strategy is better, but a lot of businesses don’t really factor in the notion of using both. SEO (search engine optimization) is a slower method for generating new site visits, and is lower cost than PPC (pay per click) advertising. However, there are many reasons why you should use both strategies at the same time. Both SEO and PPC are effective, albeit for different reasons, so it is going to be up to you to decide which one will benefit you the best in terms of your long-term business goals. Learn about how both work, and look closely at whether you’re in a position to value speed over brand-building. If you’re not using digital marketing, then you’re simply not going to be found by online consumers. With the numbers of people now spending money online from their laptops and mobile phones, that’s a market share that you don’t want to ignore or miss out on.